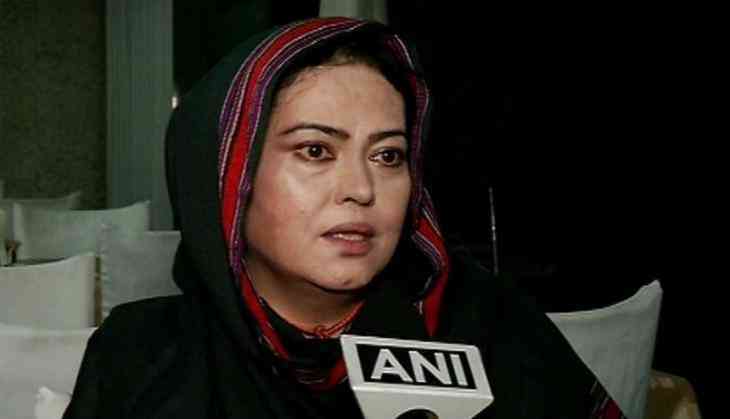 The president of the World Baloch Women's Forum, Prof Naela Quadri Baloch, has hailed United States President Donald Trump's decision to place Pakistan on a Special Watch List for severe violations of religious freedom in the country. "The US has taken the right step in highlighting the mistreatment of religious minorities in Pakistan," Quadri said, in a statement. She emphasised it was important to explore the implications of Pakistan's identification as a state that violates the religious freedom of its citizens. "The US is effectively saying that the systematic oppression of religious minorities in Pakistan has assumed alarming proportions," Naela said. "Forced kidnapping and conversion of Hindu girls, imprisonment of innocent Christians in false blasphemy cases, and the plight of Pakistan's Shias are also known to the world community, systematic denial of equal rights to minorities are indeed established facts," she added. The Baloch activist warned if Jihadi groups further expand in Pakistan, it would help their redeployment across the world. "But the US and the world community has to expand its notion of a violation of religious freedom to be able to understand how the syncretic religious belief of Baloch people is being corroded through a systematic state-sponsored programme motivated by the Wahhabi-Deobandi ideology that champions jihad across the world," Naela warned. "Once these groups succeed in Balochistan, they will be redeployed elsewhere. The world community should, therefore, stand with nationalist forces in Balochistan," she added. She said the jihadi experiment in Balochistan already has international implications because Pakistan is allowing space to the Islamic State, which not only carries out attacks in Afghanistan, but on nationalists in Balochistan as well. "It also allows Pakistan to whitewash and repackage the Taliban as a moderate, reasonable group that needs to be accommodated in the Afghan Government. It is time the world community took note of the many games Pakistan plays," she said. The Baloch leader emphasised that denial of religious freedom in Pakistan was posing serious implications of this for regional peace and stability. "What perhaps is less understood is how the denial of religious freedom is corroding the mainstream Muslim community of Pakistan and the serious implications of this for regional peace and stability. Consider, for instance, the case of Baloch people," Naela said. "We are Sunni majority living together with Shia Balochs, Hindu, Sikh and Christian Balochs for centuries, still we are protecting graves of our Jews who had to flee after Pakistan's occupation on Balochistan," she added. Naela accused Pakistan of using Balochistan for providing safe havens to the terrorist groups and giving them military training. "Pakistan is not only using Balochistan as a place to safely park and train the jihadi wing of its army, but it is also using them to terrorise the Baloch people, destroy their syncretic faith and society, erase their symbols of tolerant and syncretic faith, and lure Baloch youth to the jihadi camp to weaken our resolve to fight for Balochistan's independence," the Baloch activist said. On Thursday, the United States placed Pakistan on a special watch list for "severe violations of religious freedom." This came in the backdrop of US President Donald Trump criticising Pakistan for not doing enough to combat terrorism, in a strongly-worded tweet. The US Department of State on Thursday also re-designated Burma, China, Eritrea, Iran, North Korea, Sudan, Saudi Arabia, Tajikistan, Turkmenistan, and Uzbekistan as "countries of particular concern," in accordance with the country's International Religious Freedom Act for having engaged in or tolerated systematic, ongoing, and egregious violations of religious freedom.